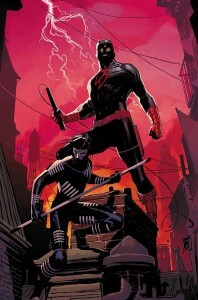 Daredevil’s back in New York, his identity again secret and he has a trainee / sidekick to boot. Soule’s writing continues the story nicely from Waid’s farewell and Garney’s art creates the required dark atmosphere. Add in Murdock as a prosecutor and all the ingredients are there for a great series.